Refrigerator was an incredible invention in our everyday lives. In the era before refrigerator, people either have to abandon food due to its perishment or they had to do tough tricks to conserve food for long. The age we live in is full of facilities and equipments. Many of our tasks are performed by electric and electronic appliances we have got in our homes ever since we have gained consciousness. Let's read about the fruits, vegetables and other foods that we should store in room rather than storing them in our fridge. Tomatoes to refrigerate or not? Here is the answer. Tomatoes have soft and delicate structure. Keeping it in refrigerator breaks its texture, turns it mushy and makes it gradually unusable. Potatoes are also not go well with refrigerators. Keeping them in a fridge would make them sweeter. Cold atmosphere inside refrigerators breaks the starch of potatoes which in turn increases sweetness in it. Also storing potatoes in refrigerator will make them harder. Do not refrigerate bread as well. Wheat in bread contains starch granules which is broken in the moisture and therefore loses its shape. This also causes bread to get stale and dry fast. Honey does not need to be stored in cold environment. 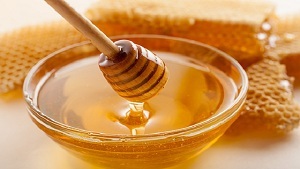 Rather, keeping it in room temperature is better for it as it helps honey maintain its natural freshness. Highly cold or hot highly hot, both can damage its original taste. Storing it in refrigerator may change its shape and texture. Garlic cloves start loosening their texture and hardness in cold temperature. Storing garlic in fridge also affects its taste. But it is also worth knowing that you can store chopped or crushed garlic in refrigerator in an air-tight container. Do you store every food item in refrigerator? You know there are foods not to refrigerate ever. Storing these foods in a fridge may spoil its nutrition and make them even worse in freshness. There are certain fruits and vegetables you should not refrigerate rather store them at room temperature in order to have best of them. i already know all these foods and never keep them in fridge. i prefer storing them in my kitchen cabinets or in baskets at room temperature. useful knowledge. we mistakenly stored bread in fridge but now after reading this post, we will not. thanks for sharing . stay blessed and happy. Read Blog about 5 Foods You Should Never Refrigerate and health & fitness, step by step recipes, Beauty & skin care and other related topics with sample homemade solution. Here is variety of health benefits, home-based natural remedies. Find (5 Foods You Should Never Refrigerate) and how to utilize other natural ingredients to cure diseases, easy recipes, and other information related to food from KFoods.